What happens when you leave wine inside of a hot car? Home » Tips and Tricks » Will leaving your wine in a hot car ruin the taste? Will leaving your wine in a hot car ruin the taste? One of the perks of living in Central Texas is being only a short drive away from the Hill Country wineries. Perfect for a romantic weekend getaway or a day trip with friends, the vineyards surrounding Austin always provide an enjoyable experience. 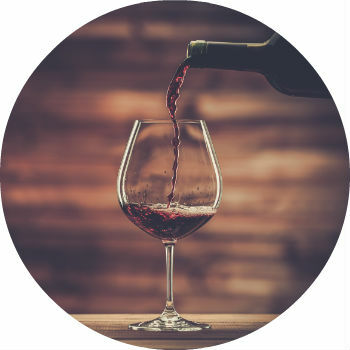 However, if you happen to purchase a bottle of wine while visiting a winery, take care not to leave the wine in your hot vehicle for an extended period of time—otherwise that likely pricey wine purchase will all be for not. Continue reading to learn about what happens when you leave wine inside of a hot car. Wine is not fond of the heat. Think about this: when it is hot outside—as it so often is in Texas—let’s say about 100 degrees, your vehicle can reach around 150 degrees. When wine reaches about 80-85 degrees, the fruit flavors begin to suffer and the acid tastes become more pronounced. Once the wine’s temperature reaches over 100 degrees, it will begin to cook and will become completely undrinkable. So, how can you protect your wine while transporting it on a hot day? Howdy Honda put together a quick list of tips to make sure that your wine stays fresh and delicious. Check out other tips and tricks on our blog page. If you are running errands, make your wine stop your last stop of the trip to avoid it sitting in the car for an extended period of time. If you are out wine tasting, take your wine with you into each winery to keep it cool (they will understand!). Keep your wine in the passenger area rather than the trunk while transporting it. If you have to leave your wine somewhere hot (even if it isn’t your car), store it in a bucket of ice. Keep your wine bottle in an upright position. With excessive temperature, the wine and air inside the bottle will expand and possibly cause leakage. Following these easy tips will help you keep your wine in its best shape, so you and friends can enjoy it properly. Happy wining! Howdy Honda is Austin’s local Honda dealership. Visit us to browse our inventory or go for a test drive in one of our brand-new Honda models! This entry was posted on Thursday, July 19th, 2012 at 1:22 am	and is filed under Tips and Tricks. You can follow any responses to this entry through the RSS 2.0 feed. Responses are currently closed, but you can trackback from your own site.